Red kite ‘takes one for the Planet’ at Navarre Wind farm. In a few years to come, when the generation responsible for the current energy mess reaches its belated age of reason, and has to explain the Genesis and Armageddon of the great wind power fraud, one of the tougher questions for gramps and granny will be why did we build an utterly meaningless power generation source that’s ONLY genuine and consistent output was billions of dead birds and bats; sliced, diced and otherwise slaughtered by fleets of these things, all over the World? In order to aid those attempting to explain just why birds and bats are being butchered in their millions, it pays to start with how. To that end, you’ll need to wade through the following blood-bath of articles. 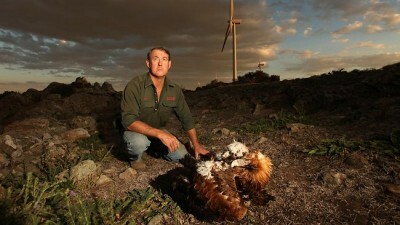 Wedge-Tailed Eagle meets its ‘Waterloo’ at SA wind farm. turbines smashing it to the brink of extinction. With ‘consultants’ like Brett Lane involved in covering up the carnage on behalf of the well-paying clients, little wonder that Nick Mooney fears for the future of Tasmania’s few remaining Wedge-Tailed Eagles, as well he should. Has anyone seen our mummy? How much Wildlife can USA afford to kill? 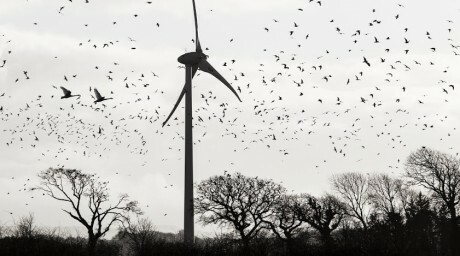 America’s wind farms are actually slaughtering millions of birds and bats annually. 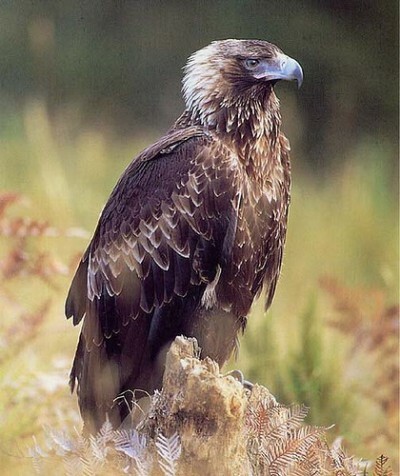 Golden Eagle to completely lose its head. 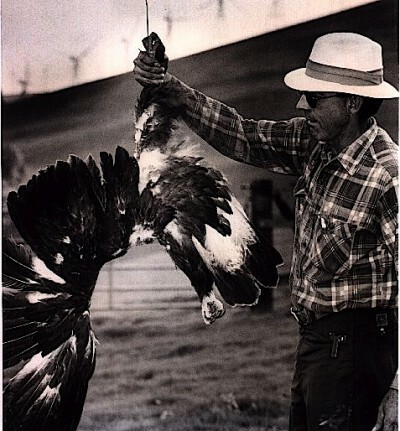 Save the Eagles International (STEI) has posted photographs of raptors perched on nacelles or nonmoving blades, and ospreys building a nest on a decommissioned turbine. Moving blades don’t deter them either: videos show a turkey vulture perched on the hub of a spinning turbine, and a griffon vulture being struck. Birds perceive areas traveled by spinning blades as open space, unaware that blade tips are moving at up to 180 mph. Many are focused on prey. These factors make wind turbines “ecological death traps,” wherever they are located. This carnage includes protected species that cars and cats rarely kill: eagles, hawks, falcons, owls, condors, whooping cranes, geese, bats and many others. The raptor slaughter will cause rodent populations to soar. Butchery of bats, already being decimated by White Nose Syndrome, will hammer agriculture. 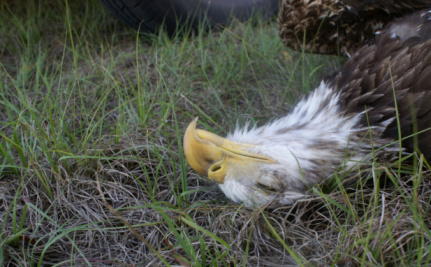 Wind lobbyists claim they need “regulatory certainty.” However, eagle “take” permits will also ensure extinction certainty – and ecological, agricultural, economic and social disasters that America cannot afford. Offshore wind farms off the UK coast could kill up to 12 times as many gannets than previously thought, according to a new study. The research, by the universities of Leeds, Exeter and Glasgow, suggests that the protected gannets (pictured) fly at a higher height than previously thought, which could mean more birds could be killed than current figures suggest. Gannets, which breed in the UK between April and September each year, were generally thought to fly below the minimum height of 22 metres above sea level swept by the blades of offshore wind turbines. 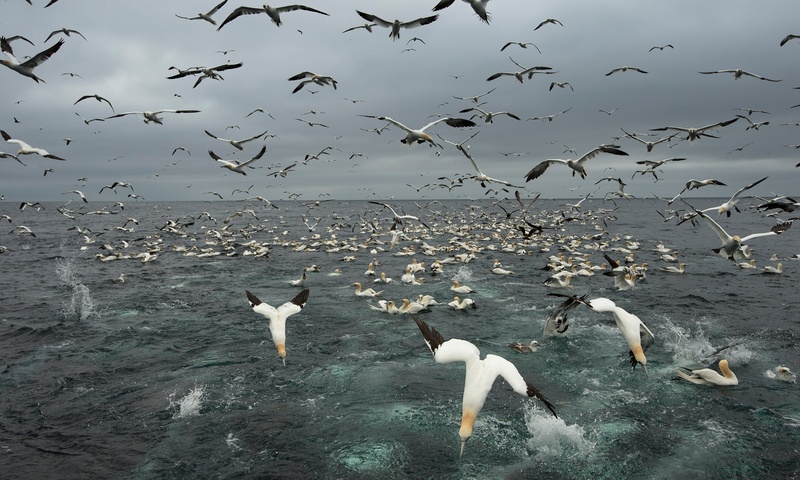 But the study says, while this is the case when the birds are simply commuting between their nest sites and distant feeding grounds, gannets fly at an average height of 27 metres above sea level when actively searching and diving for prey. Also the birds’ feeding grounds overlap extensively with planned wind farm sites in the Firth of Forth, heightening their risk of colliding with turbine blades, the study, published today in the Journal of Applied Ecology, said. The researchers estimate that up to 12 times more gannets could be killed by turbines than current figures suggest. However, they added that the figure is based on calculations using current typical turbine sizes, which could be different to those actually installed, and that there is great uncertainty over actual turbine avoidance rates. Previously data on gannet flight heights were obtained by one of two methods: trained surveyors on boats estimating heights by eye, or radar, which usually has a limited range of about 6km and is costly, the report said. The researchers called for more sophisticated methods of assessing risk. The study was funded by the Natural Environment Research Council and the Department of Energy & Climate Change (DECC). A further, more extensive tagging study to improve understanding of gannet flight heights and behaviour has been funded by DECC in 2015. LIVERMORE — High above the Altamont Pass, eagles, hawks, ravens and other birds soar, hover and glide across the tawny landscape. From a hilly vantage point in the Vasco Caves parkland, one can see the patchwork of wind turbines dotting the ridgelines and saddles — old and new, large and small, some operating and some not, with others in various stages of dismantling. East Bay Regional Park District wildlife manager Doug Bell has spent many a day out on these dusty dirt roads over the past 10 years and says what he’s seen is troubling. Once one of the world’s most densely populated areas for golden eagles, the Altamont has become a “population sink” for the protected raptors. Eagles fly in, and too often, they don’t fly out. Doug Bell looking for golden eagles near the mothballed Tres Vaqueros wind farm in the Altamont area of Contra Costa County. Although everyone agrees huge numbers of birds are dying on the Altamont Pass, they don’t agree on how and why they are dying — and what should be done about it. Environmentalists say it’s a no-brainer: The nearly 5,000 energy-generating turbines there kill birds, and the wind industry should be better regulated. But wind companies point to studies suggesting predators, poison and natural causes are to blame. Scientists and biologists argue that this so-called “background mortality” is a misnomer, a concept pushed by the companies to shift responsibility and improve their public image. 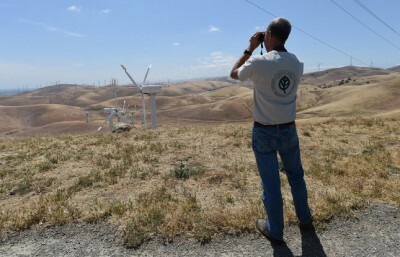 In an effort to cut avian deaths in half by this year, the Altamont Pass Wind Resource Area — a 37,000-acre zone stretching across eastern Alameda and Contra Costa counties that is home to 200 or so species of birds and bats — is undergoing a massive transformation. After a 2007 settlement among Alameda County, three of the four major wind companies and environmental groups, the companies agreed that by October they would repower — replace older-generation turbines with fewer, more efficient, more bird-friendly turbines. The remaining company, Altamont Winds Inc., did not sign the agreement and recently obtained an extension from the county to repower by 2018 — a decision that drew intense criticism by environmentalists. Still, no one is certain how well repowering will work and how many bird lives will be saved — which means the debate over the role of the turbines is likely to continue. According to counts conducted by Alameda County from 2005 to 2012, up to 4,600 birds die on Altamont wind farms every year, including about 900 burrowing owls, American kestrels and red-tailed hawks, as well as 40 or so golden eagles. But the counts indicate that 44 percent of the deaths over the past three years of the study occurred while turbines were not operating, leading some to hypothesize that other factors, including natural causes, predators and even rat poison, might be to blame. Altamont’s Scientific Review Committee, a five-member team that oversees studies conducted by consulting firm ICF International and makes recommendations to the county, responded to the findings by initiating yet another study — funded by wind companies — to look at what other factors besides turbines could be killing birds. That study is scheduled to be presented to the committee in July. ICF’s project manager, Doug Leslie, said the study makes a strong case that predators are to blame. Raven takes in the view at the mothballed Tres Vaqueros wind farm. Smallwood estimates about 10,000 birds are killed every year, “about 99 percent” of them linked to turbines themselves or their infrastructure. Among those, about 60 are golden eagles, he said, making the Altamont the deadliest zone for the species in the United States. Each of the five committee members declined to comment, some saying they would rather wait until after the committee is disbanded later this year. Sandra Rivera, Alameda County assistant planning director, who oversees the committee, said the county’s monitoring program is the most extensive and accurate study of bird deaths on the Altamont to date. The park district’s Bell, however, agreed with Smallwood that bird deaths are severely underestimated because of a lack of resources and a “crippling bias” that doesn’t account for mortally wounded birds able to walk or fly away before dying. Liz Leyvas, a biologist who has counted dead birds in the Altamont for both ICF and as an independent researcher, said a majority of deaths are caused by direct contact with turbines, whether they are operating or not. During shutdowns, Leyvas said, birds still die by running into the stationary structures during heavy fog or because they’re scanning the ground for food. They are also often electrocuted or maimed by striking power lines linked to the wind farm’s infrastructure. Smallwood and Leyvas recently wrapped up monitoring for a three-year study at NextEra Energy’s repowered Vasco Winds project in East Contra Costa County. It’s showing early indications that the newer turbines do in fact reduce deaths among raptors and other birds, Smallwood said. The final report is expected to be published in late fall. A COMMUNITY group trying to protect brolga habitats in south-west Victoria wants a moratorium on new wind farm proposals until international research is considered. Brolga Recovery Group president Sue Dennis, of Kolora, yesterday told a Senate select committee hearing in Melbourne there were only about 450 of the birds listed in Victoria and may well be the only “pure” brolga left in Australia.“This means it is critical the Victorian brolga population is given the highest level of protection in Australia,” Mrs Dennis said. 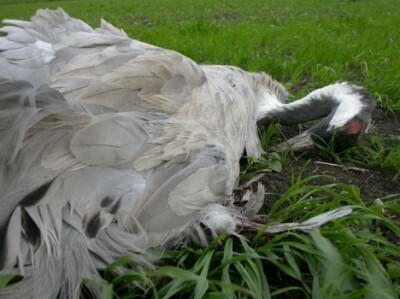 Only 450 brolgas are listed in Victoria, the Brolga Recovery Group says. She said if all proposed wind farms in the south-west proceeded the birds future would be seriously compromised, particularly displacement from limited habitat. Planning agreements on habitat offsets were “totally inadequate”, she said. “There is nowhere to go to get justice for wildlife when developers ignore statutory requirements to protect wildlife,” Mrs Dennis told the hearing. Senators heard the group had asked the state government’s environment and wildlife department for a moratorium on proposed wind farms in known brolga habitats so research findings on the sandhill crane in Texas could be considered. 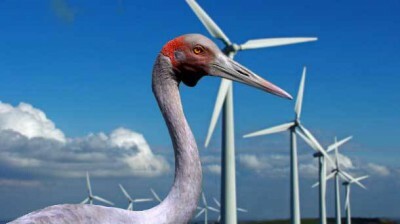 “This research clearly shows that cranes similar in size and behaviour to our brolga are displaced by wind turbines to a distance of eight kilometres,” Mrs Dennis said in her submission. 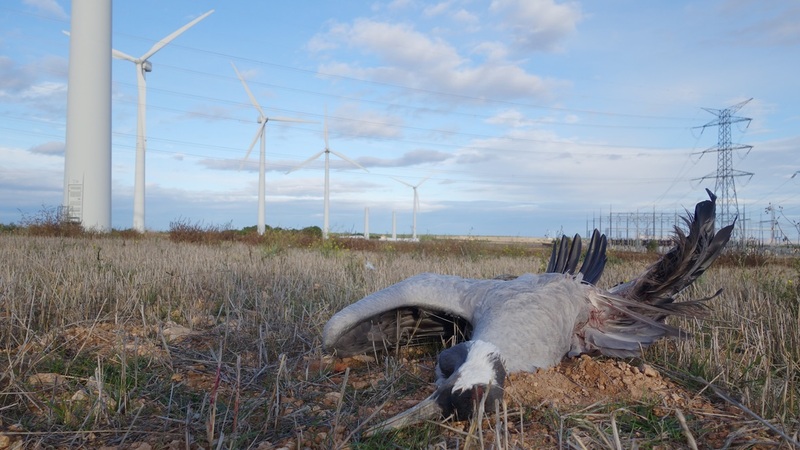 She claimed observances that brolgas flew away from the Macarthur wind farm precinct when turbines were operating supported the US findings. Her group called for buffer distances between nesting and flocking sites to be increased rather than decreased as sought by the industry. Under questioning Mrs Dennis said she was unable to provide bird count figures beyond 2013, but said a new website had been created to collate reported sightings. 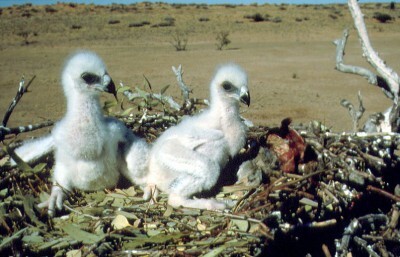 When one senator noted earlier evidence by an energy company that there were no recorded cases of brolgas killed by wind farms in Australia, Mrs Dennis said displacement was the biggest issue. Her submission referred to a state government flora and fauna document describing the brolga as “significantly prone to future threats which are likely to result in extinction”. It has been estimated thousands of bats have been killed due to wind farms each year in southern Alberta alone. Dr. Robert M.R Barclay, a professor and department head of the department of Biological Sciences at the University of Calgary, says bats are mainly being killed when they get hit by the turbine blades that are moving. Unlike Batfink, his super-sonic sonar-radar couldn’t save him. “Those blades are moving fast (about 200 km per hour at the tips). Some bats are killed when they get close to the blades and fly through a zone of low air pressure. This causes the air in their lungs to expand rapidly causing internal damage, much in the way that a scuba diver who comes up too fast experiences problems,” says Dr. Barclay in an e-mail interview. Dr. Barclay explains the first large incident of fatalities of bats at wind farm facilities occurred in 2003 at a site in West Virginia. Before that, the focus was on bird fatalities. 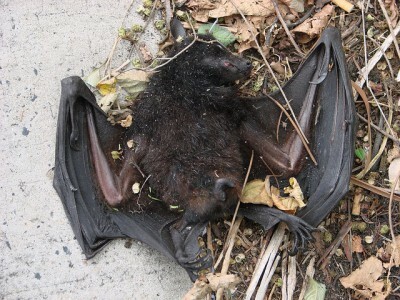 Bat fatalities still occur due to coming in contact with wind farms. However, the bat fatalities have been much higher across North America. Dr. Barclay says this has seemed to be related to the fact early turbines were quite short and therefore the blades were as high as the migrating bats fly. As turbines have gotten larger, the fatalities of bats have increased. 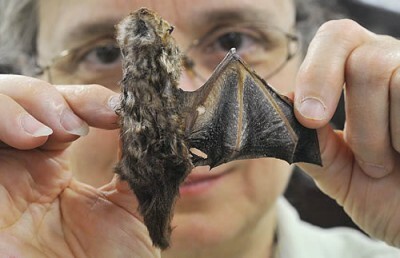 Now, across Canada, Dr. Barclay says about 10 times more bats are killed than birds. He adds the first evidence of relatively large bat fatalities at Alberta wind facilities was in 2005. As the total number of turbines increase, so does the number of bat fatalities. In 2005, Barclay was approached by one of the main wind energy companies in Alberta and that’s when he decided to begin his research. He says the company was called Vision Quest at the time, but is now part of TransAlta. Barclay continues to work closely with them and other companies to try and reduce bat fatalities. There are several things that need to be done and can be done to reduce the number of bat fatalities from contact with wind farms. During his research, Barclay says while his students were picking up dead bats underneath wind turbines, they found very few birds. He says most studies at other sites across North America have similar findings. Barclay says there are two ways to keep fatalities of bats to a minimum. The first is to build wind facilities where there are fewer bats, especially migrating ones. Bats tend to migrate through areas with more trees, such as along the foothills. The second strategy is once a site is built, there are ways to operate the turbines during the migration season so that fewer bats are killed. Locals in Finuge erected posters on Monday highlighting the area’s importance as a wintering ground for the Whooper Swan in the latest move under a campaign against plans to erect ten wind turbines there. ‘Iceland to Finuge – Home of the Whooper Swan’ reads the slogan against a stunning picture of the birds coming into land taken in Finuge on Monday. The first 70 birds of an expected 500 arrived on Monday in their usual migratory path from Iceland. Finuge’s importance as a winter home for the species is well-known within birdwatching circles nationally with ‘ twitchers’ – as they’re known – coming from as far as Kilkenny and Wexford to observe the graceful creatures feeding and nesting in Finuge. But it is feared the erection of the ten turbines, if given the go-ahead, could pose a major threat to the birds. Awareness of their presence in Finuge comes as manna from heaven for the hundreds of locals fighting against the wind farm plans. Bird chomping eco-crucifix prepares for a little more butchery. “What I would say is that these birds are very accident prone as low-level fliers with poor vision,” local man Matt Mooney said. “We’re trying to raise awareness of their presence at the moment and the water plant at Scartlea cross is one of the best places to view them from,” he said. It is believed Finuge is one of the most important sites in the entire country for the species, home to ten per cent of their Irish numbers during the winter. A survey of the Whooper Swan in 2005 found 9,748 wintering here, but that figure had declined to 5,000 by 2010 amid fears the proliferation of windfarms along the west coast of the country in that time impacted their migration patterns. 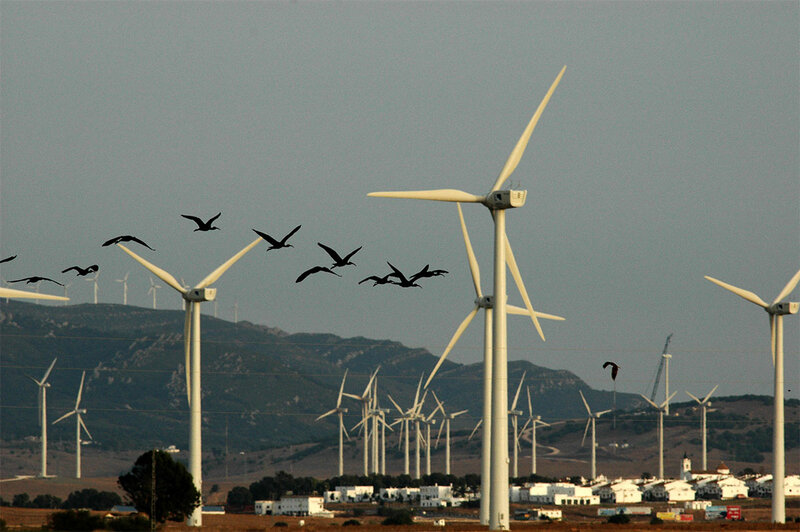 Birdlife International found that the emergence of windfarms here posed a ‘most recent threat’ to the Whooper. 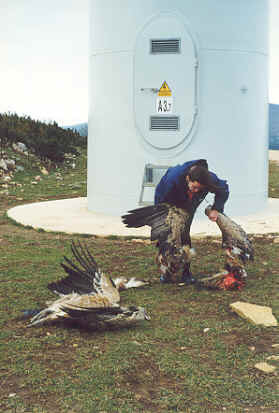 The threat is not just through direct collision with wind turbine blades, Birdlife International found. It said associated affects of the machinery poses a threat also, not least the impact of the low-frequency noise produced by the turbines on the birds. “We’re the first spot for them to land on their 800-mile trip from Iceland and they roost and breed here,” Mr Mooney added. 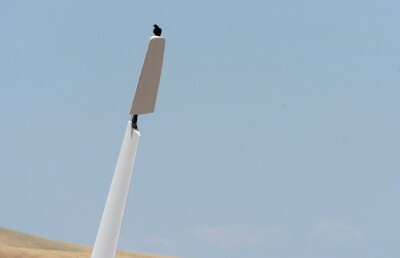 The DTBird video system, to name one, consists of a sound-warning device linked to four daylight video-cameras installed on the tower of each wind turbine, covering in principle all angles up to 150 meters away, and 50% to 300 meters. This system works only during daylight hours, so it is of no use for saving bats, migrating songbirds (which travel by night to avoid over-heating), and other useful creatures like owls. 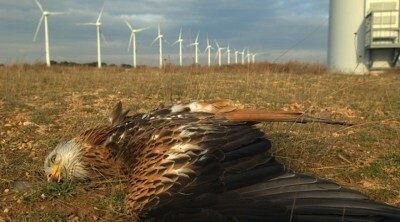 Yet, wind turbines kill owls by the thousand – e.g. about 270 a year at the Altamont Pass wind farm in California. Regarding song birds, these are butchered by the million by the fast moving blade tips. As for bats, which are attracted to insects that swarm around wind turbines, the massacre is even greater. All this killing, by the way, will have serious consequences for agriculture, because bats and owls help control insects and rodents, respectively. DTbird includes a software said to be able to recognize birds from insects, falling leaves and other unwanted visual effects. It is also said to automatically trigger a dissuading sound when signals identified as birds are getting too close to the turbine. But if we read the evaluation made by NINA (Norwegian Institute for Nature Research), which tested the system during 6 months for two wind turbines on the island of Smola, it so happens that the warning mechanism is sometimes triggered by raindrops, insects and shifting clouds (p14). NINA warns that these “false positives” could cause habituation, reducing the effectiveness of the dissuasion (p3). In any event, habituation or not, the performance of the DTBird video-system is dismal: “In only 7% of all video sequences where warning/dissuasion was iniciated, was a visible flight response observed” (p18). In other words, when it works, DTBird is ineffective at scaring away 93% of the birds that approach its wind turbine in the daytime. Invaluable research well illustrated. Wish I could share it on Facebook. Shared on Facebook. Public awareness is vital. In this era of open, transparent and dare I say fair and just enlightened government surely it’s reasonable to expect that those who kill or destroy native wild life should be punished equally? So how many free bird kill permits are handed out to the wind industry? Obviously biased, but can’t get around the basic points. Industrial windmills are bird and bat choppers. The saddest part is how worthless windmills are regardless. Windmills will never provide meaningful power to the overall grid. Having a place 1.5kms from the Macarthur wind factory. The fox numbers have really increased, as they do no baiting over the thousands of acres they manage. As we know foxes prefer birds as they don’t catch that many but maybe that’s why AGL won’t control the foxes as they clean up a lot of the evidence – dead birds that is. I spoke to dumb Dennis’s office before I started lambing, they eventually got back to me and told me to contact AGL’s Brendan Ryan. Which I won’t, after we have been ridiculed and abused for complaining about the noise from the turbines by these company representatives. As it probably affects one hundred thousand lambing ewes neighboring the wind factory I have lost 20 percent of my lambs this year, so they are the neighbors from hell. It is clear that the term ‘for the greater good’ is the easy one liner for those culpable developers, financiers, public servants and politicians who are responsible. Whether a bat, a vulture or a eagle (symbols for so many proud countries), none deserve to be sacrificed ‘for the greater good’. And so unnecessarily. Shame. One slices them, the other “alternative” fries them!! The amazing fact of this horrid saga is that the Greens, WWF and all the other “concerned” party of the green persuasion, are utterly silent. They will move heaven and earth to stop, whatever it may be, if a single microbe is at risk of being trampled. But when it comes to their “pet Projects” of bird mincers and bird friers, nobody is around to help the wildlife. It beggars belief that the Christine WindMilnes of this world and the other “permanently Outraged”, SHY included, are not in the street demanding an end to the State sanctioned slaughter. Then again….. maybe that’s were the gravy train ends up??? I have never been able to understand why the Greenies have been happy to totally ignore this tragic waste of bird life. It is obvious and certain that it occurs, compared with the very dubious advantages which they see in the output from the windmills. A great deal more honesty on this subject might reduce the disdain I have for the Green hypocrites! Strange that the UK RSPB (Royal Society for the Protection of Birds) supports turbines!??.. And, then there are the people, within rural communities desecrated, devastated and deserted by their political and corrupted public servant peers and juniors, who have done nothing wrong at all. And, I am personally commenting on a yet to be built wind farm, which is the “Ceres Project” on Yorke Peninsula, that has been approved by a notorious government and given approval, whilst failing to meet 54 conditions of approval of the planning departments own act. Their can be no other comprehension, understanding of this situation that within the hidden corridors of power a serious breach of protocol has occurred and continues to occur. I ask the powers to be, and they know who they are, how can you continue to facilitate such an injustice upon your fellow citizens. I truly hope Karma deals with you adequately and it be more along Lennon’s idea, as opposed to that which is unrecognisable. How can we follow a money trail ? There must be one. Someone is making a fortune with this con.